﻿ YOUTH OLYMPICS – The Best of the Rest? YOUTH OLYMPICS – The Best of the Rest? The Olympics are the Valhalla for every athlete. A treasure full of unforgettable memories for them and of course everyone single one of us fans and spectators. 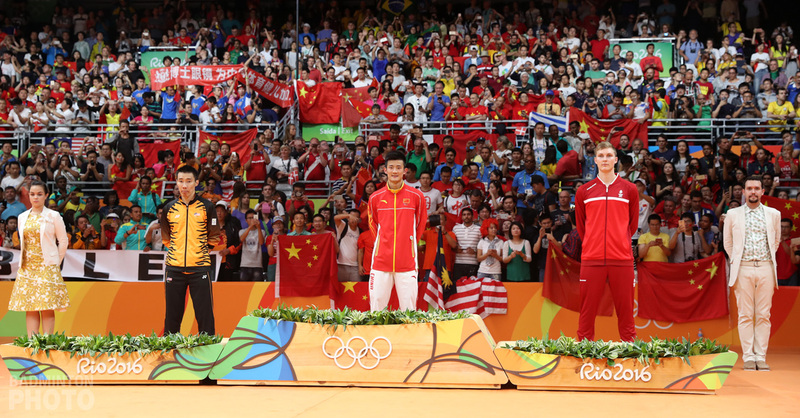 Singapore was not given the opportunity to organize the most important sporting event ever yet, but will go down in history as the first host of the Youth Olympics. 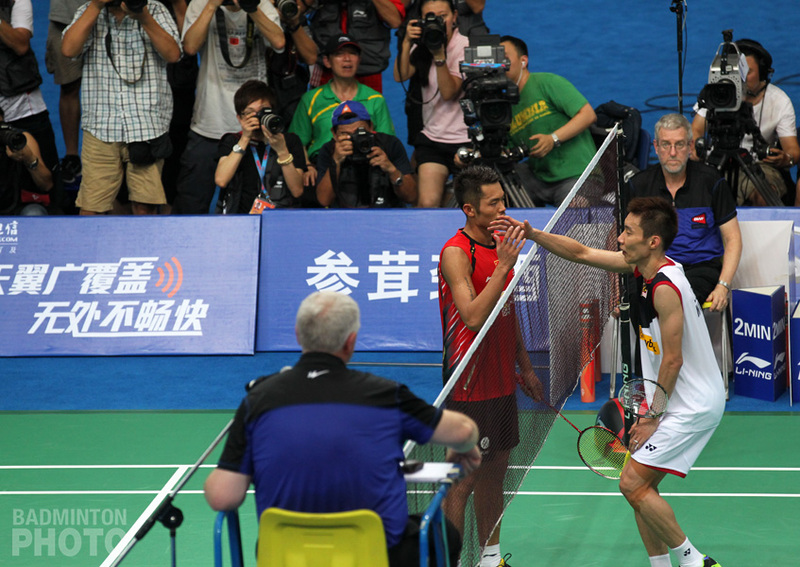 Badminton was included in the list of 26 different sports, with a total of 64 players in competition. One of the most important decisions was already made before the start of the tournament, announcing that only players born between January 1, 1992 and December 31, 1993 are eligible to participate. This meant that both World Junior Champions in the singles, Viktor Axelsen and Ratchanok Intanon, were unable to travel down with their compatriots to the Southeast Asian island state. One man’s meat is another man’s poison, giving some other players the chance to claim the very first gold medal at the YOG. All contestants were split up into 8 different groups of four players each, with only the best one in each pool qualifying for the quarter-finals. The clear favourite has to be the Korean gem Kang Ji Wook (pictured). The right-handed shuttler was the runner-up at the World Junior Championships earlier this year in Mexico and won the men’s doubles at the Asian Juniors. Where the Korean youngster attempted to go for gold in three events at the World Juniors, he’s obliged to focus only on the singles in Singapore. If he can cope with the pressure, it seems destined that Korea has already one gold medal in his pocket. In Group A, with Mexican Job Castillo, Zenas Lam of the US and Ngosa Chongo from Zambia, the group phase has to be seen as a warm-up. Still there are rivals in the field, beginning with some tough challengers from India: Sai Praneet and HS Prannoy. Both of them made it to the semi-finals of the World Juniors and were defeated. Prannoy can take revenge for that lost semi-final, as he was beaten by Kang Ji Wook 13-21, 9-21. Progressing from the group stage can’t be a problem. Prannoy will find in Frenchman Lucas Claerbout his toughest opponent of Group C, along with sitting ducks Dennis Coke and Phetphanom Keophiachan. In Group H, Sai Praneet is up against local boy Huang Chao (pictured below), Peruvian Mario Cuba and Asher Richardson from New-Zealand. Or can Loh Wei Sheng redeem himself, after his first round exit at the World Junior Championships? The Malaysian player still plays with ups and downs, but is capable of showing great things. 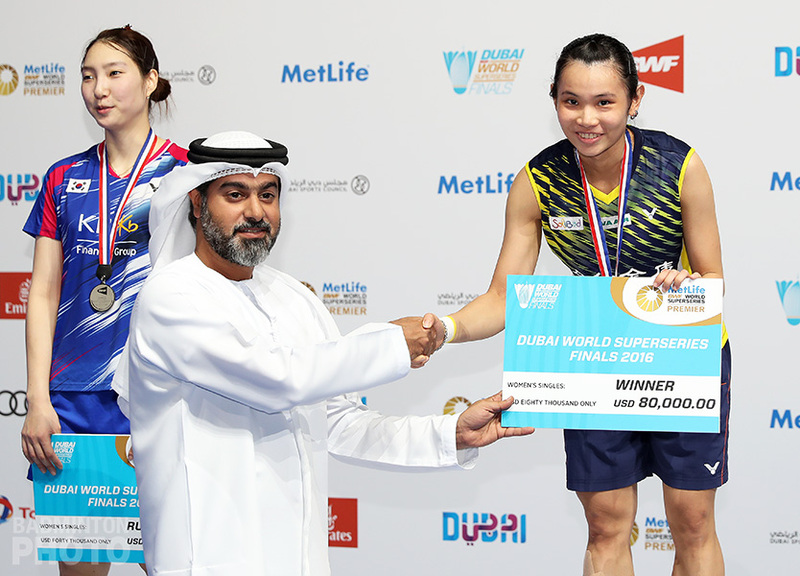 Illustrated by reaching the final of the Asian Qualifier for the Youth Olympics on home soil, in Kuala Lumpur. He also impressed at the 100Plus National Grand Finals in Kuantan. In Group G he’s put together with Lale Emre from Turkey, Vietnam’s Thao Nguyen and Kervin Ghislain from the Seychelles. With those main contenders put aside, the crowd can expect some exiting matches in the remaining groups. In Group B, we find Japanese Horiuchi Kento up against Evert Sukamta from Indonesia. The latter was an Asian Junior semi-finalist earlier this year, while Kento made it to round 4. Besides all those Asian teenagers, Danish Flemming Quach has to defend Europe’s honour. The right-handed shuttler, born in Aarhus, started to play when he was 10 years old and one day wants to become the world’s best player. Going all the way in Singapore would be a first step to fulfilling that dream. In Group E, his toughest opponent must to be fifth-seeded Thai Pisit Poodchalat. Mohammed Qaddoum from Jordan and Swede Mikael Westerback are their two remaining rivals. Only two groups left, with Group D home to the victor of the European qualification, Kasper Lehikoinen from Finland. His three adversaries are Hsieh Feng-Tse from Taiwan, Aussie Boris “Bozza” Ma and Dilshan Kariyawasam from Sri Lanka. Still left unspoken is Group F with Huang Yuxiang from China, the reigning Asian Junior Champion and quarter-finalist at the World Juniors. 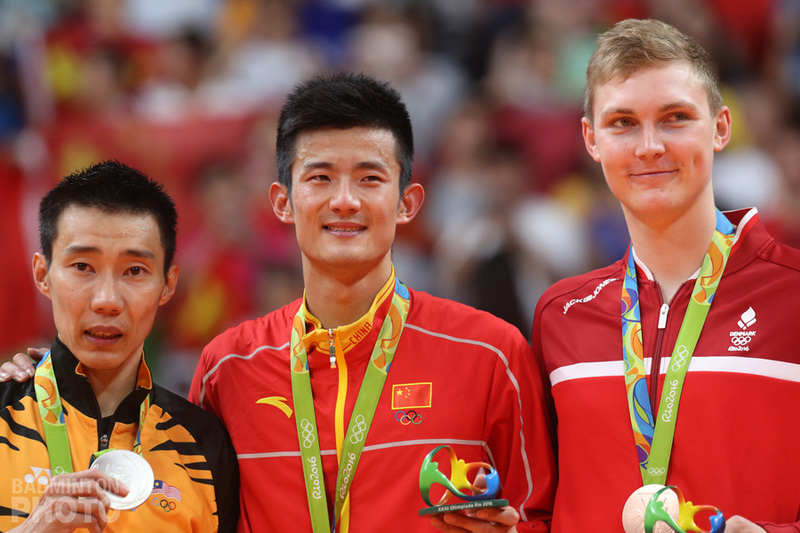 It took the eventual champion to oust Huang from the world meet in Mexico. If he wants to make it into the quarters again he will have to defeat Dutchman Nick Fransman, Irfan Djabar from Suriname and Egyptian Mahmoud El Sayad. The Japanese twosome Naoko Fukuman and Misaki Matsutomo (pictured top) pulled of an amazing stunt at the World Juniors as they both made it to the semi-finals. Unfortunately they both lost against Thai sensation Intanon. With Intanon already out of the way, the first- and second-seeded Japanese can now attempt to do even better by taking the gold medal. In Group A, Matsutomo can boost her confidence by eliminating Josephine Wentholt from the Netherlands, Kate Foo Kune from Mauritius and Canadian Tracy Wong. Fukuman has far bigger problems, as she’ll meet dark horse Choe Hye In already in the group stage. Which means Group H holds one of the most promising encounters to be played. The two came across each other this year at the World Juniors, but in the mixed doubles. Choe, teamed up with Kang Ji Wook, prevailed in three sets 21-14, 17-21, 21-12. Maybe the rivalry between these two talents, can give Thi Trang Vu from Vietnam the opportunity to cause an upset. Ukrainian Yelyzaveta Zharka seems already chanceless. Prospects are brighter for the European shuttlers in the girls’ singles with Carolina Marin (pictured) and Fabienne Deprez. The latter is very much looking forward to the Youth Olympics as she explained on her personal website: “This is the most important tournament in my life. The Olympics are a dream for every athlete. I showed what I am able to at the Worlds in Mexico. My goal is to come home from Singapore with a medal from the first ever Youth Olympics.” Before she’s able to take that medal back to Germany, she must survive Group G. With opposition from Danish Lene Clausen, Brigdet Bangi from Uganda and Aishath Afnaan Rasheed from the Maldives that can’t be a problem. Spaniard Carolina Marin is one of the biggest talents around, capable of beating her Asian peers. Marin is the reigning European Junior Champion and was only to be stopped by Fukuman in the World Junior quarter-finals. Marin is the third seed in Singapore, favourite to win Group C. Her matches against Tara Pilven from Australia, Macedonian Dragana Volkanovska and Airi Mikkela will be a good test just to check how good she is. Deng Xuan doesn’t have fond memories if her previous encounter with Marin, as she lost after a thriller at the World Juniors 14-21, 21-10, 23-21. 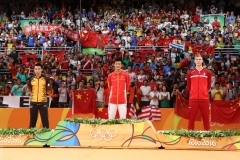 Nevertheless, she won the battle for the 9th place, beating amongst others her compatriot Wang Liang. It was enough to earn a ticket for the Youth Olympics and, as 6th seeded, she has a good chance to come first in Group D, which will probably grant her her rematch with the Spaniard. Next stop is a “European” Group B. Sarah Milne from England, Austrian Alexandra Mathis and Lea Palermo form France can assure at least one place for Europe in the quarters. American Cee Nantana Ketpura is the odd woman out. Group E has to be a nightmare for every news anchor as the girls carry exotic names such as Lekha Handunkuttihettige from Sri Lanka, Tiaese Tapumanaia form Tuvalu and Thailand’s Sapsiree Taerattanachai. Chiang Mei Hui from Taiwan completes this tongue-twisting quartet. Taerattanachai is one of the Thai youngsters from a very gifted generation. 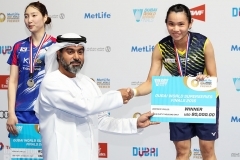 Only Suo Di was able to stop her in the final of the Asian Juniors in March, which meant she had to settle for the second place. The last four contestants are a diverse mix of cultures with all players coming from different continents. Sonia Cheah from Malaysia will logically emerge the best of Group F. Ebru Tunali from Turkey, Nigerian Fatima Azeez and Mariana Ugalde from Mexico are the final three contenders of the entire list. Stay tuned with us this week as Badzine brings you the action live from Singapore Indoor Stadium, complete with live photos from BadmintonPhoto.